With over fifteen years of experience in the field of veterinary medicine, Dr. Meneo has found that one factor remains consistent: the overwhelmingly negative affect that visiting a traditional veterinary office can often have on patients, and even their owners. Essentially, the experience is exceedingly stressful for some patients and can induce psychological and even physical detriment. Bringing the service and product to your home allows us to remove much of that stress. 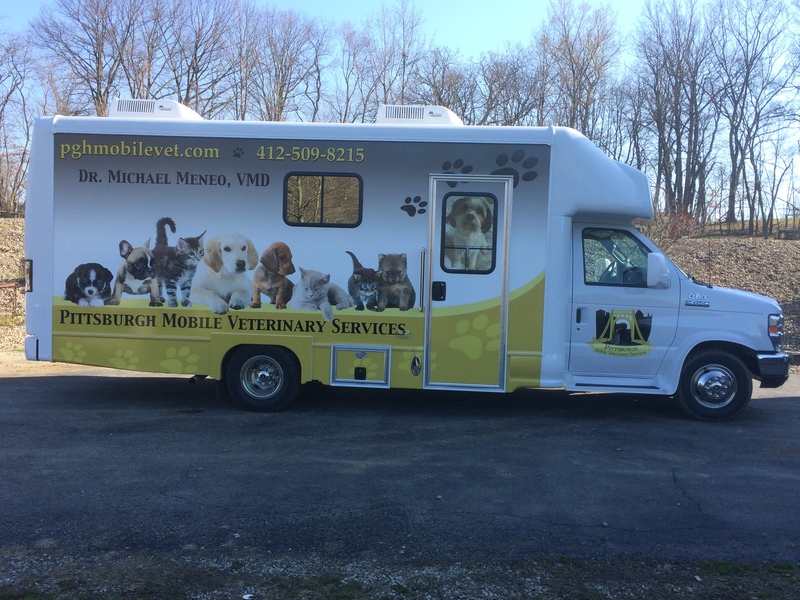 Our mobile unit is fully equipped to provide most, if not all, of the services you would expect at a traditional veterinary clinic! In a nutshell, we all love our pets and want what is best for them. Excellent veterinary care is an overwhelmingly large part of that, and Pittsburgh Mobile Veterinary Services is committed to ensuring your pet is provided excellent care right in your own home.